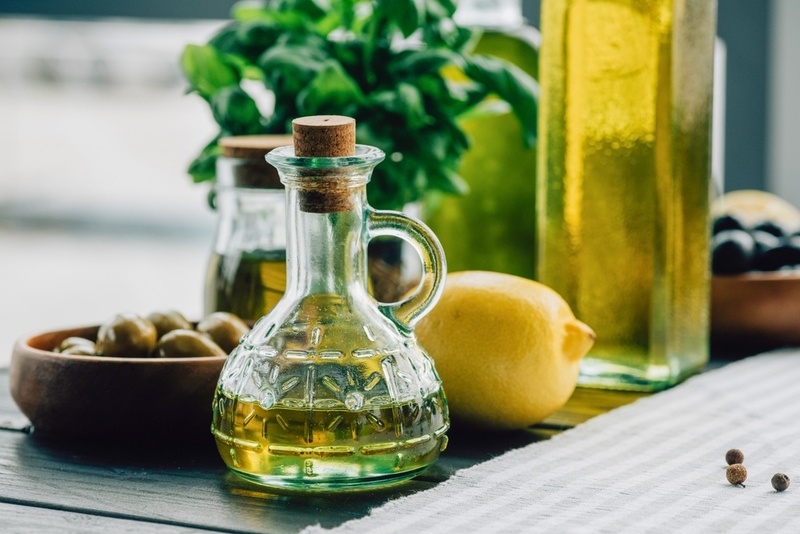 We share lots of olive oil recipes throughout the year. Here is a list of the most popular olive oil recipes of 2017. These delicious dishes and desserts received the most likes, shares and clicks on our Facebook page and Twitter. This simple weeknight fish dish is made with extra virgin olive oil and tomatoes. Make this chocolate olive oil glaze for fruit, pretzels, cookies, or whatever you'd like to add chocolate goodness flavor to. This unconventional cooking technique turns out amazingly rich flavored, melt-in-your mouth chicken. Gorgeously crusted on the outside, tender on the inside, this visually striking preparation of cauliflower is popular among chefs. This recipe features farro with grilled vegetables and is packed with flavor. Typically, Italian biscotti are made with butter but this recipe uses olive oil instead. This recipe for olive oil mashed potatoes is surprisingly creamy and easy to make. This traditional bread is served throughout the Mediterranean for Easter. There are many different versions of chimichurri but most contain herbs, olive oil and vinegar. Falafel is popular in several Mediterranean countries and is delicious fried in olive oil.